But to Democrats, that step isn't enough. 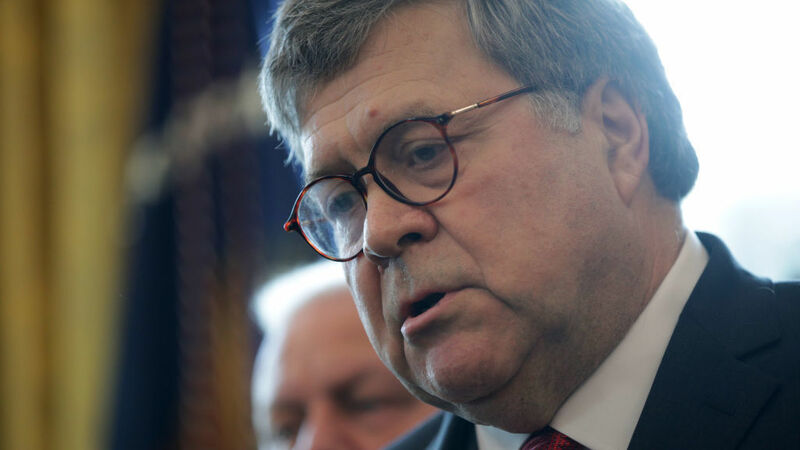 They have long been pushing Barr, who was confirmed to lead the Justice Department last month, to make Mueller's report public as a further glimpse into what the Trump 2016 campaign's Russian ties and contacts were. Last week in a sweeping bipartisan vote, the House of Representatives also said the report should be released; however, that vote is not legally binding. Sen. Richard Blumenthal, D-Conn., told NPR's All Things Considered that the full report, not simply Mueller's conclusions, should be made public. "No one should be satisfied with what we see unless it is full disclosure of the facts and evidence, not just the conclusions but all of the findings that went into those conclusions," Blumenthal said. "No scrubbing for executive privilege, no involvement by the White House in censoring or reviewing and no claims of executive privilege." A Justice Department official said that Mueller's report does not recommend any future indictments, although criminal charges against more than 30 individuals and entities, including onetime top aides and associates to President Trump, have already been filed. But some Republicans were quick to interpret the news that no further charges were apparently forthcoming as full vindication of the president, who has long called the Mueller investigation a "witch hunt." "We've seen no additional evidence whatsoever that the investigation is going to move forward. In fact, the opposite is 100 percent true," former Trump 2016 campaign manager Corey Lewandowski told All Things Considered. "And this marks the final conclusion of the special counsel's investigation into the Russia investigation — uh, potential collusion narrative between the Trump campaign and the Russians. This is the end of it after 675 days." "Now that he's wrapped up his investigation, Attorney General Barr must provide Congress and the American people with the findings to finally put an end to the speculation and innuendo that has loomed over this administration since its earliest days," said Iowa Republican Sen. Chuck Grassley, a past Senate Judiciary Committee chairman. "Attempts to keep the collusion narrative alive, especially for political reasons, will only serve to further harm our political discourse and play into the hands of our foreign adversaries."